This week’s Nintendo eShop releases for Europe are in, delivering new add-on content, demos and games for Nintendo Switch and Nintendo 3DS – as well as plentiful discounts across all platforms. 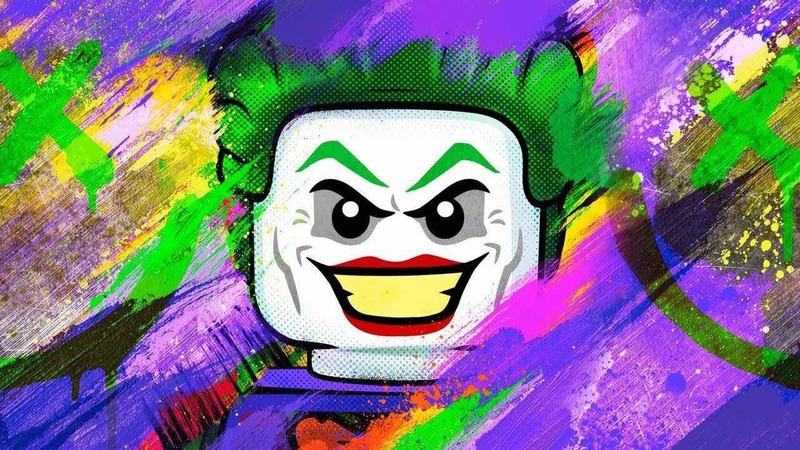 The LEGO DC Super-Villains Season Pass includes 4 character packs and 6 new playable levels inspired by the films and comics of the DC universe. An additional pack of 30 new puzzles in larger sizes. An additional pack of 30 new puzzles across all sizes. An additional pack of 45 new puzzles in smaller sizes. With the Collection Pack, complete and enrich your experience with the other Starships, Pilots and Weapons of the game, and benefit from each of their special capacities! The collection pack includes the digital versions of 4 Starships (Neptune, Pulse, Lance, Nadir), 8 Pilots (Levi; Razor, Eli, Kharl, Chase, Hunter, Judge, Shaid) and 12 Weapons (Levitator, Volcano, Imploder, Nullifier, Iron Fist, Alt. Freeze Ray, Crusher, Super Gatling, Shockwave, Alt. Gauss, Hailstorm, Alt. Meteor). Includes the digital version of Crusher Weapon and Shredder Mk.2 Weapon. Includes the digital version of Eli Pilot. Includes the digital version of Hailstorm Weapon and Meteor Mk.2 Weapon. Includes the digital version of Iron Fist Weapon and Freeze Ray Weapon. Includes the digital version of Kharl Pilot. The Lance Starship pack includes the digital version of Hunter Hakka Pilot, Lance Starship and Imploder Weapon. Includes the digital version of Levi Pilot. The Nadir Starship Pack includes the digital version of Shaid Pilot, Nadir Starship and Nullifier Weapon. The Neptune Starship Pack includes the digital version of Judge Pilot, Neptune Starship and Levitator Weapon. The Pulse Starship pack includes the digital version of Chase Pilot, Pulse Starship and Volcano Weapon. Includes the digital version of Razor Pilot. Includes the digital version of Shockwave Weapon and Gauss Gun Mk. 2 Weapon. A Season Pass that allows you to obtain additional content for Warriors Orochi 4 at a discounted price. A pack that allows you to obtain 10 special costumes for Warriors Orochi 4. Legendary costumes for your Jin officers will be added. Legendary costumes for original Warriors Orochi officers will be added. Legendary costumes for your officers from other Dynasty Warriors forces will be added. Legendary costumes for your Wu officers will be added. A pack that allows you to obtain special costumes for Warriors Orochi 4. A pack that allows you to obtain special mounts for Warriors Orochi 4. A sweater from the Nuit region in the far north, stitched with Rudder fur (Color: Dark Rose). Set for adults and children. A sweater from the Nuit region in the far north, stitched with Rudder fur (Color: Moss Green). Set for adults and children. Blocks named Tetras and it is down to the players to all that they can, to save them and make the most out of their special ability. Via the means of shape-shifting, Tetras can turn into different Tetrominos and used to fill holes and master puzzles, in an attempt to reach the portal on the other side of the level. Travel around the globe and take down wild game alone or with a friend to compete for the highest score, or try to beat the numerous bonus challenges. Color Zen Kids is a fun new twist on the puzzle game franchise. With simpler puzzles, larger shapes, and a kid-friendly animal theme, it’s a great way to teach problem-solving with a game. Re-experience the game that started it all with this remastered version. Dark Souls Remastered includes the main game plus the Artorias of the Abyss DLC. Drift racing is back! Drive legendary drift cars on different tracks, beat records, take part in different drift racing events, rise from Beginner to Professional League driver. A fantasy turn-based strategy game, fight for Cerulean and claim the crown as her rightful heir! Enjoy hours of our single-player campaign and battle your friends with cross-platform multiplayer. Expand your skills as a commander with the challenge mode. I Hate Running Backwards is a never-ending adrenaline-packed shoot’em down roguelite that puts the emphasis on destruction and fighting never-ending waves of enemies while time-traveling through procedurally generated, fully destructible worlds! It’s good to be bad… Embark on an all-new adventure by becoming the best villain the universe has seen. Players will create and play as an all-new super-villain throughout the game, unleashing mischievous antics and wreaking havoc in an action-packed story. This version includes the original game + the season pass. Momonga is a pinball game where you bounce through different worlds. On the way, you team up with friends to defeat enemies and conquer boss fights. Experience the life of a struggling artist! Passpartout puts you in the shoes of a French artist trying to navigate the beautifully confusing art scene. Paint and sell your own art to survive your expensive wine and baguette addiction. The Personality and Psychology Premium app aims at giving you an analysis of your personality, psychology score. It has a series of tests which you have to go through to achieve your personal score. Pizza Titan Ultra is a fast paced 3rd-person action platformer focused on fighting and smashing through a futuristic city, in a giant mech, to deliver pizza. Experience arcadey action with speedy attacking and dodging, while attempting to control the massive weight of a 10-story mobile pizzeria – just try not to make too much of a mess! Compete in world-class tournaments and daily challenges, all to improve your skills. Earn bonus money to climb the ranks and become a professional angler. Build your reputation, gain sponsors, and battle for awards and trophies in iconic fishing locations in North America. Something terrible has happened in the magic kingdom. The Snow Queen is furious about her mirror to be broken. She decides to make winter stay forever in the fairy-land. Now, you are the one to save everybody and beat the wicked Queen. Spencer is an intergalactic traveler who crashed his spaceship on Earth. Alien monsters, stowaways, have broken out and stolen important parts to repair the spaceship. Help Spencer to get the missing items for his ship. Destroy enemies, collect coins and diamonds to cover all tracks on earth. With the Deluxe edition, get all the pilots, starships and weapons available at launch! Combining these modular toys in combat will help you adapt to challenges as you save Atlas. The Deluxe edition includes the digital version of Starlink Game, 5 Starships (Zenith, Neptune, Pulse, Lance, Nadir), 9 Pilots (Mason, Judge, Chase, Hunter, Shaid, Levi, Razor, Eli, Kharl) and 15 Weapons (Flame Thrower, Frost Barrage, Shredder, Levitator, Volcano, Imploder and more). In Starlink: Battle for Atlas, lead a group of interstellar pilots as you build your own starship, explore the Atlas star system, and battle the vile Grax and his Forgotten Legion. Includes 4 Starships (Zenith, Neptune, Pulse, Lance), 6 Pilots (Mason, Judge, Chase, Hunter, Levi, Razor) and 12 Weapons (Flame Thrower, Frost Barrage, Shredder, Levitator and more). Kate Walker is found dying on the banks of a river by the Youkol tribe, a nomadic people accompanying their migrating snow ostriches. Together, stuck and imprisoned in the town of Valsembor, they must find a way to continue their journey in a race against their enemies and unexpected obstacles. It’s the biggest Party Pack yet with five party-saving new games! Play using your phones, tablets or computers. No extra controllers needed! Following a trail of mysterious letters, you find yourself entangled in a journey shrouded with secrets and deception. Trapped in The Room with only an elaborate puzzle box, you must delve into the unknown using only your wits to unlock the answers you desperately seek. One fine day a bunch of scientists created four tiny monsters. But for what? To test their cooperation skills of course! So they tied them together to a tiny monstrous chain and let them make their way through colourful, tricky, cooperative experimental set-ups that only scientists can think up. In the world of Valkyria Chronicles, the year is 1935 E.C., and the continent of Europa has been plunged into the Second Europan War between the Autocratic East Europan Imperial Alliance and the Atlantic Federation over the precious resource Ragnite. A collaboration starring heroes from Dynasty Warriors and Samurai Warriors with a roster of 170 playable characters, new magic moves and online multiplayer. This edition includes the original games, a season pass and deluxe edition bonuses. A young girl wakes up, groggy and in an unknown room. A talking dog appears before her and she becomes startled by his revelation: They are gods and it is their duty to change the fate of any humans that ask for their help. Letters appear in the mail and with pen in hand she begins her job. Want to turn that big screen TV in to a stunning virtual aquarium? Then get Aqua TV – a fully customisable virtual aquarium that lets your Nintendo Switch do just that! Enjoy Halloween Pinball, a reproduction of a real pinball machine, with all the graphic details and sounds. Discover all the secrets, complete all the missions and become number one in the world or the best among your Friends, posting your high score on the online leaderboard. During a long-passed archaeological excavation, a set of Gates were discovered. People quickly realized that these ancient passages lead to different realms and dimensions – providing brave and reckless adventurers with treasures beyond measure. Mr Tako will solve puzzles, explore mysterious dungeons and fight tenacious bosses on his mission to end the war between the undersea octopus kingdom and the terrestrial human world. Select from a diverse range of extreme sportspeople, to fight and race your way to the top of a falling skyscraper… as it is being demolished. You may have matched colors before, but never like in Swap This! To master this puzzle game you need real skills, quick wits and tactical thinking. In no time you’ll orchestrate screen-clearing chain reactions and use super-charged power-ups. Get ready for high-speed thrills with an explosion of colour in Trailblazers. Paint the track as you go to dynamically change the racing line, boost on your team’s colour and outwit the opposition in a sprint for the finish. The more you paint, the faster you can go! Nintendo GameCube classic Luigi’s Mansion has been remade for Nintendo 3DS family systems! Fans of Luigi’s Mansion 2 can now explore the original mansion where Mario went missing. Luigi’s something of a scaredy-cat, but these classic ghosts and traps are no match for his vacuum cleaner! Besides, the mansion’s map will be displayed on the bottom screen. If you work up the courage, fight the ghosts of your past battles in the new boss rush mode!